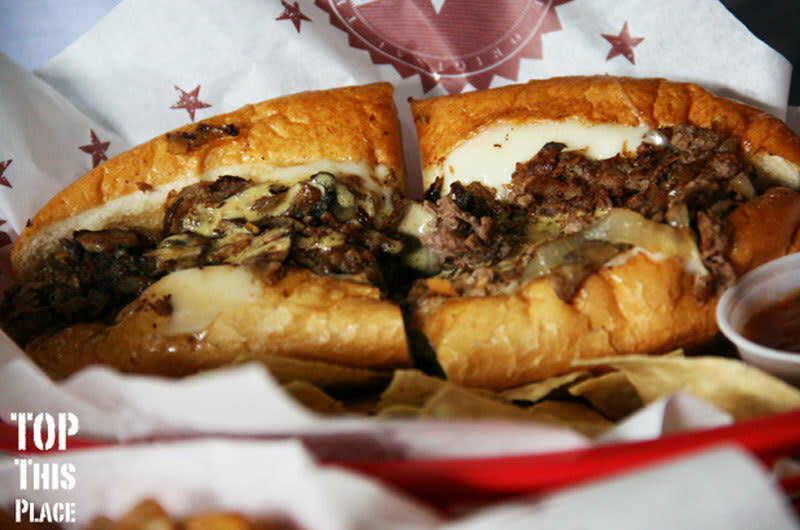 Texadelphia serves Philly cheesesteaks with a Texas twist, "The Original Texas Cheesesteak". Always using the highest quality and freshest ingredients, each cheesesteak is made to order and topped with a signature sauce. All of the cheesesteaks, sandwiches, soups, salads and burgers are served with complimentary chips and salsa, just like the founder of Texadelphia likes it. The cheesesteaks are the perfect fusion of Philly and Texas with guacomole, queso and salsa using great angus beef or the California version with chicken. Texadelphia also provides catering services.